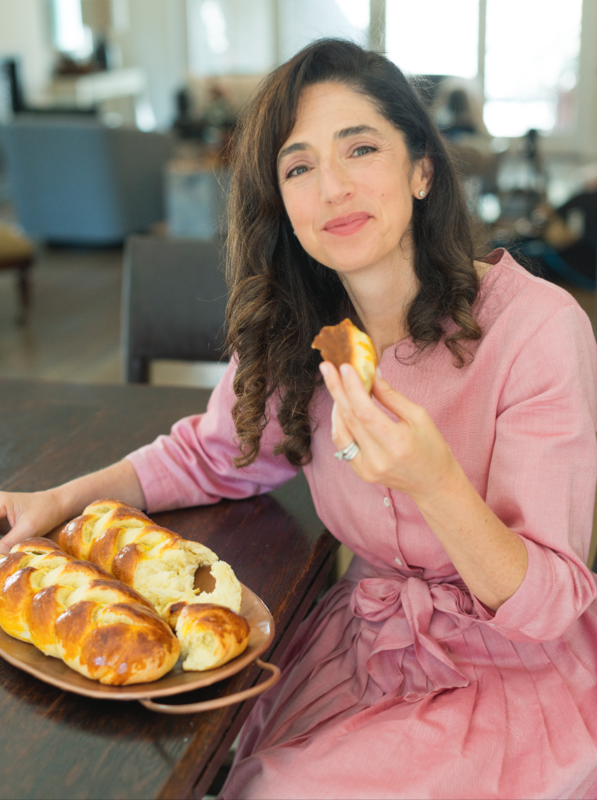 Five plus years into her journey of making challah every Friday, physician-mother Beth Ricanati realized that she had learned some powerful lessons – lessons that resulted in her feeling happier and healthier. Trying to do it all (well) – and do it all at once – had left her stressed out and overwhelmed. Standing at her kitchen counter, hands deep in a bowl of dough, Beth found a way to be more mindful, more present by embracing a meaningful ritual, in this case, making challah. Acknowledging that she couldn’t possibly be the only stressed mother on the block, she set about writing what has become Braided: A Journey of a Thousand Challahs in order to share both her own story and offer a how-to for others seeking to be more present in their own lives. Since the release of this award-winning book, Beth has been sharing not only her story, but also offering an array of events that explore what it means to have a meaningful ritual, the importance of building and sustaining communities and exploring the health and wellness benefits of having such rituals in our lives. i can speak to group sizes ranging from intimate (10-15) to large keynote (200+). Events have occurred at (but not limited to) synagogues, Jewish Federations, private homes, medical professionals and other organizations.